Lee called herself Dr. Pimple Popper, and she now has nearly 4 million YouTube subscribers — which she parlayed earlier this year into a TLC special, and now a regular series on TLC. Starting Wednesday evening, you can watch an hour-long television show focused on a doctor who pops pimples professionally. Dr. Sandra Lee – better known as "Dr. Pimple Popper" – graduated from Hahnemann University, which is now Drexel University’s College of Medicine, after attending UCLA as an undergrad. She completed a residency in Springfield, Illinois, and is a board certified dermatologist and a member of the American Academy of Dermatology, the American Academy of Cosmetic Surgery, the American Society for Dermatologic Surgery, and the American Society for Mohs Surgery. But Lee is best-known for the Instagram videos she started posting in 2014, and the YouTube series she began in 2015. The initial concept behind the videos was simple: She would pop zits, blackheads, and cysts. The videos were certainly not for the squeamish (and still aren’t — you’ve been warned), but they found an audience and started to pick up steam. Lee and her pimple popping videos have attracted nearly 4 million subscribers to her YouTube channel — which she parlayed earlier this year into a TLC special, and now a regular series on TLC. The show, also called “Dr. 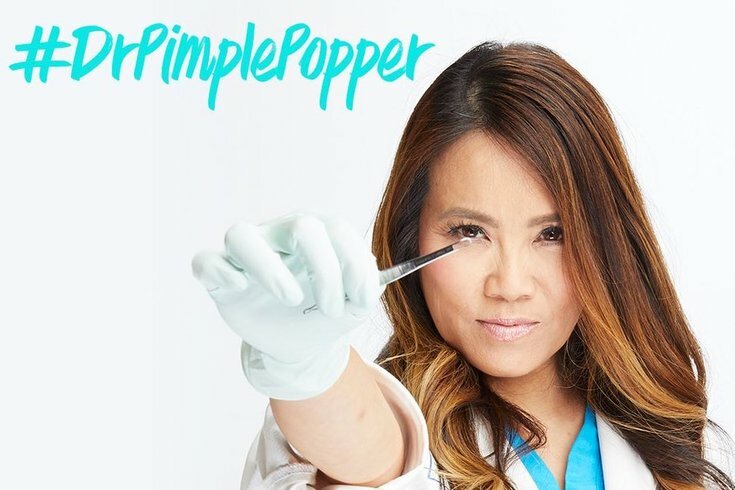 Pimple Popper,” debuts July 11 at 10:04 p.m., and will air weekly on Wednesdays at the same time. Now that Lee officially has her own television show on the air, maybe this is the right time to update Drexel’s list of notable alumni on Wikipedia. She’ll fit right in next to fellow Drexel alum and filmmaker Susan Seidelman, whose film Smithereens was the first American independent film invited to compete at the 1982 Cannes Film Festival.